First off, “T” should probably be “theosis,” “trinity,” or “theodicy,” but since Bo is piloting this ship and he asked me to cover theopoetics I figured I should probably do what the captain asks. Aye-aye. Since theopoetics isn’t likely in Bo’s dictionary of theological goodness I’ll first offer two definitions. 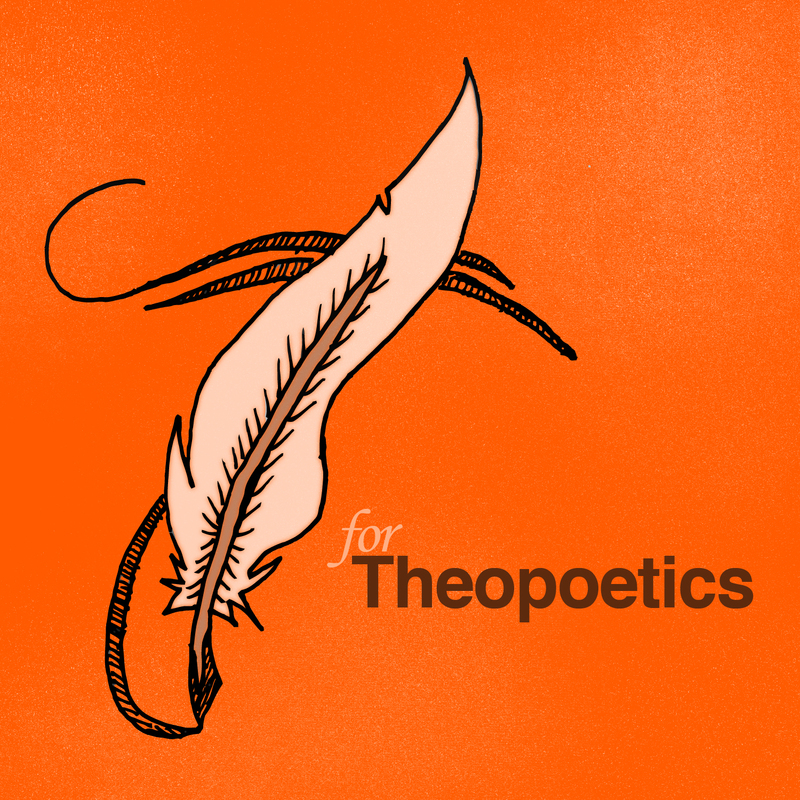 A non-poet’s definition of theopoetics might be that it is a hybrid of poetry and theology. But to call it that misses the mark. It is an entire way of thinking. From the side of poetry, it shows that ideas are more than abstractions. They have form – verbal, visual, sensual – and are thus experienced as least as much as they are thought . . . What one learns from the theology side of theopoetics has at least as much importance. One observes that theology is more than an abstraction. It is a way of thinking, visualizing, and sensing images of God. And at that juncture, theologians should become aware that traditional theology . . . is a way to think about the divine but is only one of multiple ways to consider God. Thus for theologians, theopoetics will underscore their (sometimes reluctant) admission that theology is one form of truth but ought not be confused with TRUTH itself. A useful distinction to make is one from David Miller in his essay “Theopoetry or Theopoetics?” Whereas “theopoetry” is just “an artful, imaginative, creative, beautiful, and rhetorically compelling manner of speaking and thinking concerning a theological knowledge that is and always has been in our possession and a part of our faith,” theopoetics concerns itself with “strategies of human signification in the absence of fixed and ultimate meanings accessible to knowledge or faith.” That is, theopoetics is decidedly not about saying the same old same old but with spiffy new verbiage. Rather, it begins with an acceptance of “the absence of … ultimate meanings” (very resonant with some of the work of Derrida and Foucault in regards to our inability to have certain, fixed, language) and yet insists that ours is the task to attempt to put words to that which we know we cannot get right. To eff the ineffable, as it were. It has a heavy emphasis on the importance of aesthetic, sensual, and experiential knowing. It discourages the growth of “gate-keeping” mentalities in which people must learn to speak and think a certain way to have their voices heard. It is a post-modern inflected style of theological discourse without the (sometimes) slippery slope of skepticism leaving people with no ability to say anything. As a Christian thinker, what is most compelling about theopoetics for me is its insistence upon the incarnational not just in content, but in method. Theopoetics wants the practice of theology to be a spiritual practice and accepts the limitedness of humanity, affirming that there is a possible power in our words without having to pretend otherwise. It is the language of theology spoken in the accent of someone whose first tongue is not academic but sensual, whose dialect betrays an origin of flesh, and whose tone suggests that at any moment we might all be caught up in some grand dance. Why should we encourage the development of poetic sensibilities in theological discourse? Because we were all — even theologians and pastors — made to dance, not merely think of dancing. Because when we close our eyes there is a gripping duende to the music of this world which makes us want to cry and make love. Why theopoetics? Because I believe we owe it to ourselves and to the hope of our God to live and write and pray as if the world was a gift and each Other a reminder of that which gives.